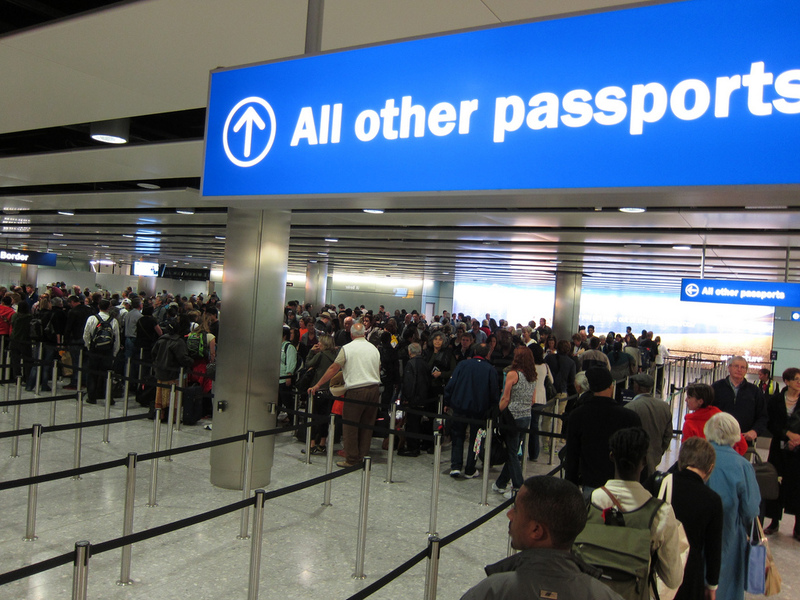 Net migration levels are almost back up to the record levels seen two years ago, according to the latest figures from Statistics NZ. Statistics NZ estimates there was a net migration gain (long term arrivals minus long term departures) of 61,576 people in the 12 months to the end of February. That was up by 9931 (+19.2%) compared to the 12 months to February last year and almost equalled the record 61,781 for the year to February set in 2016. The net gain continues to be mainly driven by arrivals of citizens from other countries, while arrivals and departures and New Zealand citizens are more evenly balanced. In the 12 months to February, 44,174 NZ citizens departed this country long term while 36,392 arrived back after an extended absence, creating a net loss of 7782 over the 12 months. The net loss of NZ citizens has been slowly but steadily increasing since 2016, but remains well below the net loss of almost 38,000 NZ citizens in the 12 months to February 2012. However the loss of NZ citizens was more than made up for by the 116,748 non-New Zealand citizens that arrived in the 12 months to February, while 47,390 non-New Zealand citizens departed long term, leading to a net gain of 69,358 non-New Zealand citizens, which is believed to be a record high for that 12 month period. The biggest source country for non-New Zealand citizen arrivals in the 12 months to February was China with a net gain of 11,237 from that country with another 658 from Hong Kong, followed by India 9481, South Africa 7053 and the Philippines 6497. By visa type, the biggest single group of long term arrivals were 44,742 Australian and New Zealand citizens (who do not require visas), followed by 33,449 on work visas, 32,263 on long term visitor visas, 26,874 on student visas and 14,621 on residence visas. The biggest growth in visa numbers was in visitor visas which were up 22.2% compared to the previous 12 months, followed by work visas +11.6% and student visas +6.8%, while residence visas were down 5.2% compared to the previous 12 months. Time for another email to Winnie asking that ever happened to his election promise??? If Winnie goes then who will pick up the torch and seek to restrain immigration? Both the major parties are guilty of exploiting immigration as a means to increase overall GDP so they can claim things like 'strong economic growth' 'a growing economy' etc. Until the metric of success changes I can't see the major parties changing tact. TOP. NZ first can give the regions as much cash as they like. However, failing to deliver on immigration will not be forgotten. Credibility will be at zero. You attribute far too much common sense/intelligence to Peters' supporters. To most of us,he is a disagreeable dinosaur,but to his fans,he can seemingly do no wrong. More seriously,what happens if NZ First falls below the 5% threshold and the Greens self-destruct as they appear to be on their way to doing? Even with no mates,Simple Simon might be the next PM and the thought of having to listen to his nasal whine for years does not fill me with joy-perhaps Judith will 'arrange an accident'. You are assuming that you will get a straight, honest, open answer from Winne which you won't. He will simply either attack you and tell you "get your facts right", and/or bluff his way through an explanation how if NZ First hadn't done anything the figure - which is "demonstrably wrong" - would have been at least three times higher. Hey Winston where are you ? Still at the back of the last press conference fast asleep. Alas, at the present time, public confidence in Statistics New Zealand seems to have struck an all-time low. How many is too many? When you need this amount of immigration to keep your economy going. Although there is a question over accuracy of the data, it would appear that we still seem to have historically very high levels of net immigration. This will be creating pressure on housing supply - especially as the Government's KiwiBiuld is not currently delivering the supply as promised - and some stability to house prices. Expect some seasonal downturn in the market, but the collapse/bubble burst in the housing market doesn't seem imminent with continuing supply issues and low interest rates. So what happened to Winston Peters election promise to "hit the pause button " on immigration if we voted for him ? The "pause" was ostensibly to get on top of our infrastructure backlog so we could cope with this influx . "So what happened to Winston Peters election promise" - stop it man , you're killing me . Labour’s election promise was to cut net migration to 20,000 to 30,000 a year. NZF's election promise was to cut net migration to 10,000 a year. Personally I am happy enough with immigration levels given low unemployment, but I would like to see less crap being spouted before elections. @ Foyle. In turn I am unhappy with immigration given low wages and incomes. How sure are we that these figures are correct, with them not being sure themselves in recent months, and a growing number of homes on the market in Auckland - including the new ones. Surely we can grow our economy in ways that don't involved importing tens of thousands of mostly lower skilled people? Certainly but given the calibre of leadership this country has, I wouldn't hold my breath to see a government put in the planning and execution effort to transform the economy. This lot can barely deliver on promises related to housing and are out by a huge margin on it. Once you dig down into what growth is and must inevitably be, it is more people. We would do better setting things up so that growth is not required in order for people to prosper. That will require tapping into the growth of other countries, as Japan has been doing for a number of years as their birth rate went into reverse and what China will do when it cranks up the economies in various African countries. Countries like us, there is not much opportunity, especially when we keep hocking off the means to do it with. Incredibly disappointing, this government. More broken promises. So far I give them a 'C' mark. They only just pass because of the FBB, and Ardern's leadership after the ChCh tragedy. I don't rate the immigration aspect of labour, but I do rate how she is looking at CGT, and not allowing foreign interests to purchase houses and launder money. Old John Key fed off the pigs back by selling his house in an environment he created, insider trading at its highest. But immigration is one of my key milestones, so if she doesn't stick to her mandate, I will have to swap my vote again. Until someone fixes immigration, I will keep changing political parties. NZ is positioned in a post-industrial world, and according to Productivity Commission, will have almost no chance of participating/leading in any aspects of 4th industrial revolution -- new material (Graphene), AI, big data, robotic and etc. Then, the question is what will keep NZ's economic development status afloat into the future. So far, it has been three key businesses -- agriculture exports businesses, people importing businesses, and foreign capital direct injection businesses. I fail to see any other new growth points for NZ's economy other than the ones mentioned above. I dont agree, as we have lots of very advanced biology labs for example. Further you dont need to spawn the industries that move the world forward, you just need to have people sufficiently skilled to make use of them and we have an educated population. NZ should do just fine. Rightly said. Agriculture is good but not as standalone and will certainly not be sufficient for providing a high income source to our workforce. I spend much of my productive time seeking opportunities to invest my company's retained earnings in local industries of the future and NZ businesses have nothing to offer. Meanwhile our neighbours across the Tasman are positioning themselves in the post-coal energy commodity market - mainly with advanced research in hydrogen and lithium. I guess cutting immigration doesn't fall under the "virtue signalling" catagory, otherwise this Gov would have done it ASAP without consultation or debate. Seems as if the Nats tweaking the rules are having an effect although NZ continues to have a legal immigration rate far higher than USA, UK and all reasonably sized OECD countries. Some of our immigrants are high quality on high wages paying significant income tax but most are not. It is worth asking why the latter are welcomed. Select by occupation and 'aged care nurses' continue to do well but Chefs, Restaurant managers and Retail managers are being clamped down. It has taken many years of complaint and many years of rorts being reported in the press but there is a dramatic change. No apology for having 'skills' defined badly for a decade. All over the shop. At this point anything out of Stats NZ isn’t worth the paper it is printed on or the electricity to the pixels it is displayed on. News about immigration in the property news section? WOW that's a statement of opinion. Yes without an endless surplus of renters, house prices would collapse. Without and endless surplus of lenders, bank results would collapse. Shall we move it to the "Borrowing" or "Banking" section then? The data is wrong, the rate is lower. Regardless, the economy we have courtesy of 30 years of disinvestment is not capable of sustaining the society we aspire to because we have no value added or future capable capacity. Case in point the entrenched poverty that is endemic in this country. The country is broke and has been since the late 1990s when all our assets were liquidated in the name of neoliberalism. We have been sustaining a false standard of living using debt, which has reached its limit evidenced by the lack of inflation. Its hard to spend in an inflationary manner when all your income is servicing debt...There is no way back without a significant economic policy shift away from neo liberalism....neither red nor blue are the option. Who is braver?